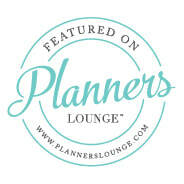 Weddings2Plan.com is a New Jersey full-service wedding and event planning company. We provide wedding and event planning services throughout all of New Jersey, New York, Philadelphia, PA metro area and anywhere else you request us to be! Weddings2Plan was awarded the 2018 LUX Life Global Wedding Award for Best Full Service Wedding Planners in New Jersey. It's your time to shine, let us handle all your wedding or event planning! Hiring the right event planning team is critical to planning your dream wedding or event. You can count on Weddings2Plan to bring your dreams of a beautiful, stress-free wedding or event to life. We have been coordinating remarkable weddings, parties, and special events for years. We will make your special day everything you ever dreamed it would be! Why do you need Weddings2Plan? We will give you peace of mind. Our mission is to alleviate as much stress as possible. We have a wealth of knowledge in choosing the right venues, locations, caterers, and event professionals to meet your unique needs. We will save you the time, stress, and money when making decisions. We pay attention to details and have developed lasting relationships with many event professionals, ensuring you great value and service. ﻿This is YOUR special day. It is all about you! We will guide you through the wedding or event process so you can make informed decisions. Of course, on your special day we will make sure that everything is taken care of and managed exactly as you envisioned it. Call our Wedding Planners and Event Planners today, 609-556-8744, and schedule your complimentary consultation with us!